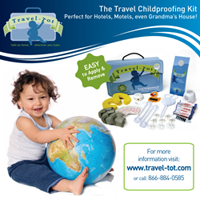 Travel-Tot: Winter's Here: Safety and Sledding! Temperatures are dropping and snow is on the way! As any parent can tell you, nothing says winter quite like watching your child, bundled up, squealing with joy as he goes flying down a pile of snow! Unfortunately, according to the Consumer Products Safety Commission, serious sledding injuries, most of which include children under the age of 15 who suffer a head injury, are increasingly common during snowy winter months. Preventing tragedies such as these starts with awareness and planning ahead. Following the 4 basic tips below can help avoid such injuries and help prevent sledding-related emergency room visits this winter. Adult supervision: An adult should always be present while children are sledding. They can help guide children to make good decisions about sledding and can be there (with a cell phone and first-aid kit) in case of injury or emergency. Dress for success: Children don’t always recognize that they are getting too cold or too damp for the conditions outside, so be vigilant about making sure that they are well protected (set time limits based on weather conditions, monitor how damp their clothing becomes, etc.). Staying warm is an essential part of outdoor winter play; have your child dress in layers that can be removed and added back as necessary. It is also advisable to dress children in bright colors so that they are easily visible at all times. Finally, wearing a helmet will help prevent head injuries in the unfortunate event of an accident while sledding, so insist on properly fitted head gear. 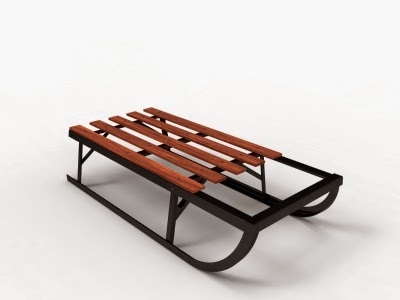 Equipment and technique: Sleds should be inspected for safety; they should be free from damage and should have handles that children can hold. Children should be instructed to sled sitting upright with their feet facing forward; allowing better visibility and control. If they fall off while sledding, make sure they know to roll to the side and get out of the way of the sled and other oncoming traffic. Also, if they find themselves on an out-of-control sled, they should roll off to the side to safety. Location: Always know the terrain before allowing children to start downhill; make sure that the path is free from obstacles and other children who are sledding and make sure hills are appropriate for the child's age and ability (i.e, not too steep, free of trees and bodies of open water, etc. ).